Table setting may be an easy task. Well, for most of us, we would simply place the plates, spoon and fork, glass and all the other dining ware together. No need for some artistic approach whatsoever. But in truth, you can actually make your dining table setup more inviting and interesting. Also , there is an art to table setting that will greatly affect the diner’s experience while eating. 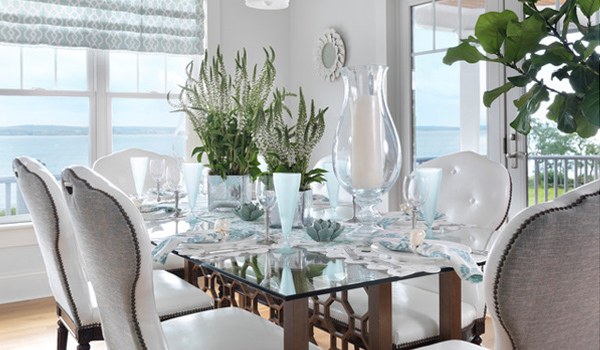 Well, for sure, we want our guests and our family as well to feel special when they dine in our homes. I have seen many impressive table set-ups which is also a result of the beautiful combination of fabrics as well as centerpieces. Of course, a good choice of dining ware would also be important because if these are beautiful and presentable, your dining table would definitely be a stunner. These days, people are used to take photos of anything beautiful. So, see to it that your table set up is Instagram-worthy. And of course, make sure your food looks presentable and taste really good! 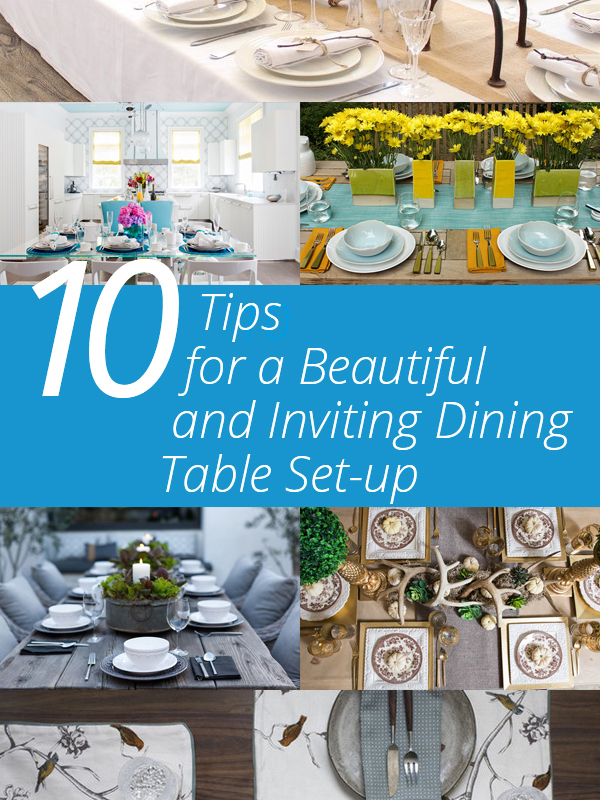 I’d be giving you some tips today on how you can set up your dining table to make it look more inviting. Your dining table setup will also depends on the occasion. If it is a wedding, a birthday or just whatever event you have in the house. It can even be a mere family gathering too. Whatever it is, see to it that your table setting suits to the affair. Also, take note of themes as well as color motifs too. You can integrate this in your table set up. When we say China, it is a general term used to refer to all dinnerware. So, pick those that would look great in your table. Aside from colors, design and prints, you can also decide on the kind of material too. It can be ceramic, porcelain, glass and others. You can also use a combination of it too. Always remember that the kind of dinnerware you pick has a great impact to the entire look of your table as well as to the diner’s experience. 3. Formal or informal setting? Most of the time, when we talk about table set up, we would think that it means that the table setting has to be formal. But that shouldn’t be the case all the time. There are instances that you can arrange it in manner that the guests can serve themselves so they will feel more comfortable. When they feel good while dining, that would make their time being there in your home more worthwhile. And again, go back to tip number one as it would also depend on the occasion. I know that most of us would think of using the same kind of china. Well, nothing is wrong with that. But you can also try to mix and match so that you can lessen the formality and your home won’t look like a restaurant. Blend different types of dinner ware. You can use plain ones with printed ones. Or you can also combine dinnerware made of various materials. When you are using printed ones, the key is to use those with the same colors. 5. Bring pops of color. 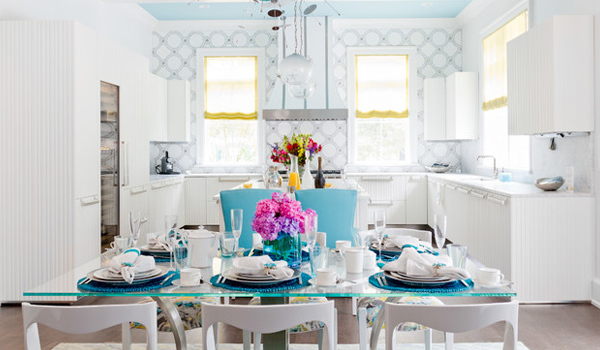 You can do this by picking dinnerware with colors or by accessorizing your table. Pick some nice napkins. I’m sure there are plenty of available prints and colors in the market. 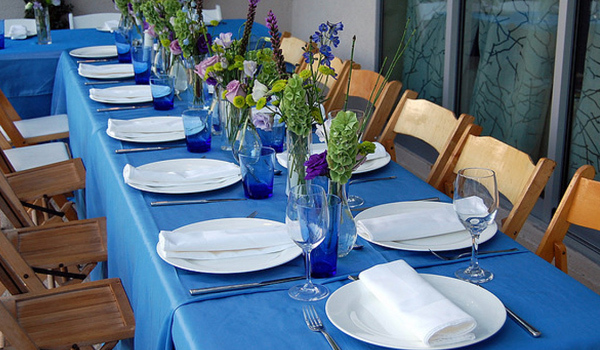 You can also use white plates and silverware then strategically choose a pop of color to add more life to your table. The centerpiece will also be an important factor when it comes to colors. 6. Add some little details. I have seen many beautiful table setup with some little touches on them but had brightened up the table. It could be some sweet details like a handwritten place cards. You can also make some small treats that your guests can take home with them. You can use pretty straws with tags, tie some ribbon on a bowl and others. These will be little details but would definitely go a long way! 7. Have an interesting centerpiece. We all know that a centerpiece of the table is the highlight of the entire setup. It could be a bunch of nicely arranged flowers. It could also be something even more creative with candles, tabletop sculptures, and others. Your centerpiece also depends on the occasion too. And take note, you have to make sure that the centerpiece will not prevent the person from seeing the other one sitting across him. 8. Be creative with flower arrangements. Most of the time, flowers are used as a centerpiece. But aside from placing them altogether at the center, you can actually break them up too. You can make smaller bouquets and arrange them in smaller vases. You can scatter it around the table like one for each diner. Or you can line the smaller vases with flowers at the center too. This will surely add more visual interest to your table. 9. Complete all the serving pieces and accoutrements. Don’t wait for your guests to ask you for anything because if you will just be busy giving them what they need, you will not be able to enjoy. Well, even if you are the host, you also need to enjoy the moment too. So, make sure have everything. When you plan the meal, you have to know what is needed in order to consume that meal. Like if you have salads, then have salad bowls and others. If you have juice, make sure you have juice glasses around. If you are serving coffee, get ready with the creamer and sugar bowl. 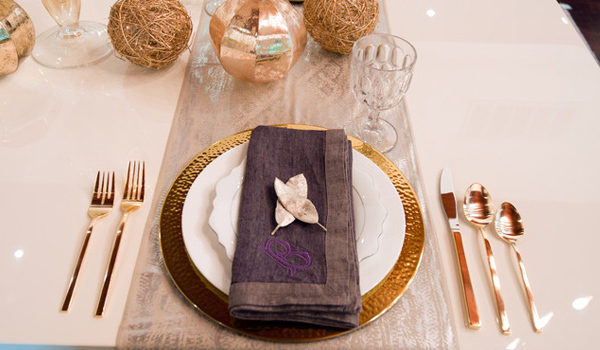 You can make some pretty labels for the accouterments to add more accents to your table. 10. Experiment with the fabric. 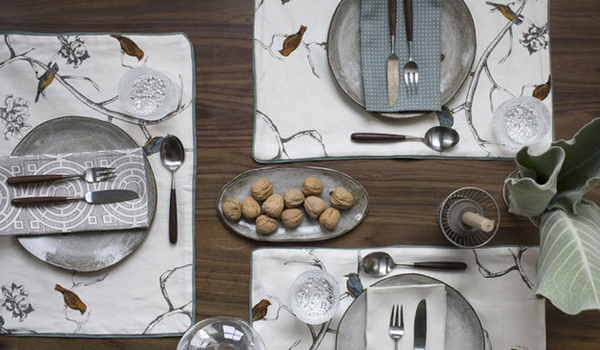 When we say fabric, we mean the tablecloth or even the cloth napkins too. Choose colors, designs and prints that will match with your motif. 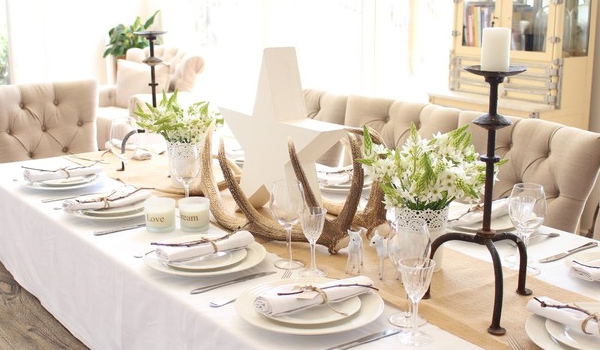 Doing this will create a coherent look for your table. The tablecloths and runners are the backdrop for the main attractions and would add drama to your set up too. And don’t forget the placemats as well. 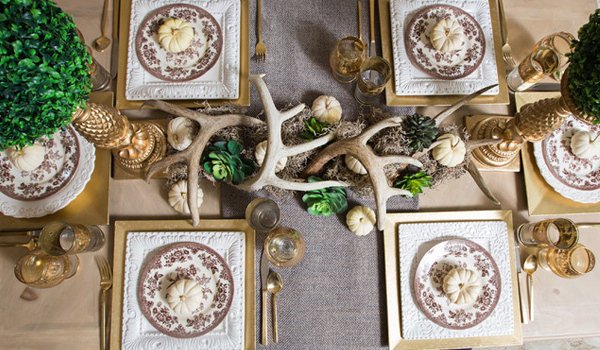 So, are you ready to set up your table now? 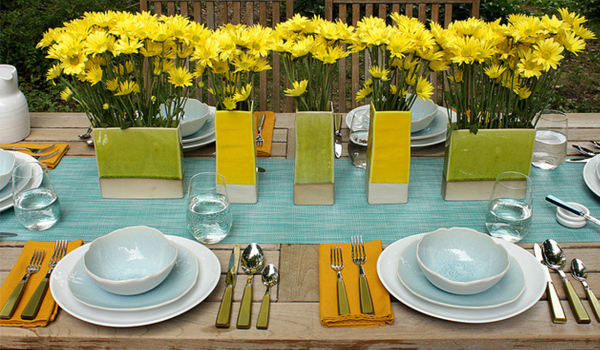 May that be a special occasion or an ordinary day, you can always make the table beautiful and interesting. 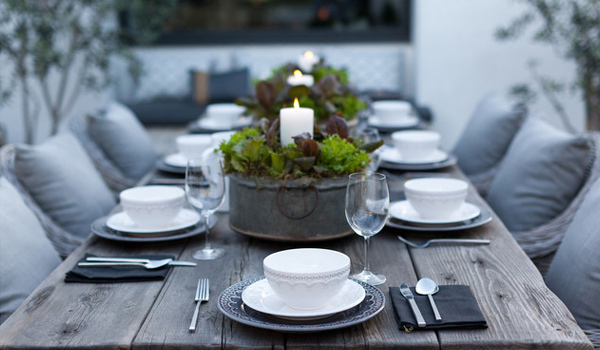 For sure, your guests or your own family will enjoy the meal with your lovely setting. 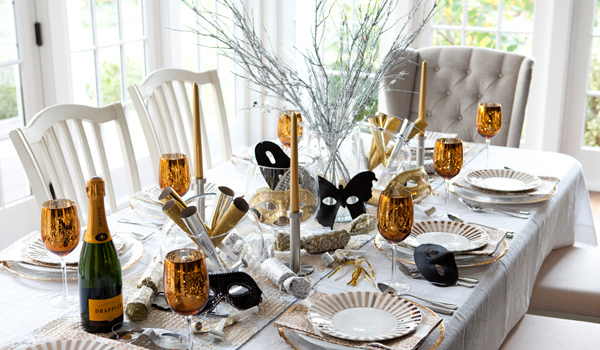 It would be also exciting on your part that you would be able to set the table with a different theme every now and then! Found this post useful? Go ahead and share it with your friends too!